I’m not a Steampunk writer, but somehow this story took a Steampunkish turn. Just “ish” though. And it’s making me hungry. The annual convention of the Steam Motorcar Inventors’ League of England (North American Division) had never been so gloomy. Her Majesty, Queen Victoria, had spoken and written so strongly against the pollution of coal-burning vehicles that public sentiment had turned against it. Parliament was debating – and would probably pass – laws against external combustion conveyances. The familiar lament was interrupted by the entrance of the League’s youngest member. Membership in the League was difficult to earn, but young Theodore Roosevelt‘s energy and penetrating insight had won him a place with a speed that some of the more plodding members resented. Roosevelt was accompanied by four hotel footmen. Two of them cleared a demonstration table and made sure its thick cork cover was firmly in place. The other two tried, vainly, to take Roosevelt’s boxed armful from him and carry it (which was, after all, one of their jobs). Roosevelt thanked them and declined, winning the dispute as he lowered his burden with a thud that spoke of its weight. He undid a latch on the lid of the box and folded down the sides. The engine he revealed looked almost identical to any other; the greatest visible difference was a pipe that seemed to pass through something that looked like a lady’s winter hand muff. A net the size of a man’s head was affixed to the back of the final length of pipe. Roosevelt filled the radiator with water supplied by one of the footmen. With a flourish, he drew a roughly cylindrical object from his pocket and fed it into the firebox. He pressed the spark switch several times before his fuel caught fire, which was not unusual: getting the machine going was generally the hardest part of running one. He added no coal. He added nothing. A small explosion inside the firebox sent some members diving under tables. “Nothing to be afraid of,” Roosevelt called to them. “That’s what it does. Perfectly safe.” He, himself, stood next to the machine without flinching. Although the other League members knew Roosevelt would stand next to the machine even if he knew it might go off like a bomb, they re-seated themselves and attempted not to fidget. Another small explosion. Another. Then, more and more quickly, more and more explosions. With each one, the pistons moved the rods, faster and faster, until Roosevelt adjusted the throttle to control the speed. From the smokestack came a thin black smoke and only the finest ash. From the back of the new pipe array shot small white irregular globes. The smell was divine. The rest of the convention was spent in studying Roosevelt’s invention, assembling another model from his parts and plans, arguing violently but happily over improvements and refinements, sketching applications, and drafting a letter to Parliament begging them to allow SMILE to present them with this new apparatus before they passed their conveyance law. If Parliament approved, SMILE would hasten forward quickly to produce a prototype popcar. Everyone agreed that young Theodore would be president of SMILE someday. President Roosevelt. It had a ring to it. 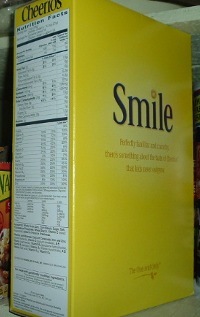 A WRITING PROMPT FOR YOU: Write about smiles, or about something the letters SMILE could stand for. This entry was posted in Story A Day May. Tagged steam engines, steampunk, Theodore Roosevelt. I happen to know about Teddy’s many unusal skills, but most people don’t. He could read a great many languages, dead or alive, and he could recite vast quantities of what he’d read. A TR story is a real treat! Thanks.